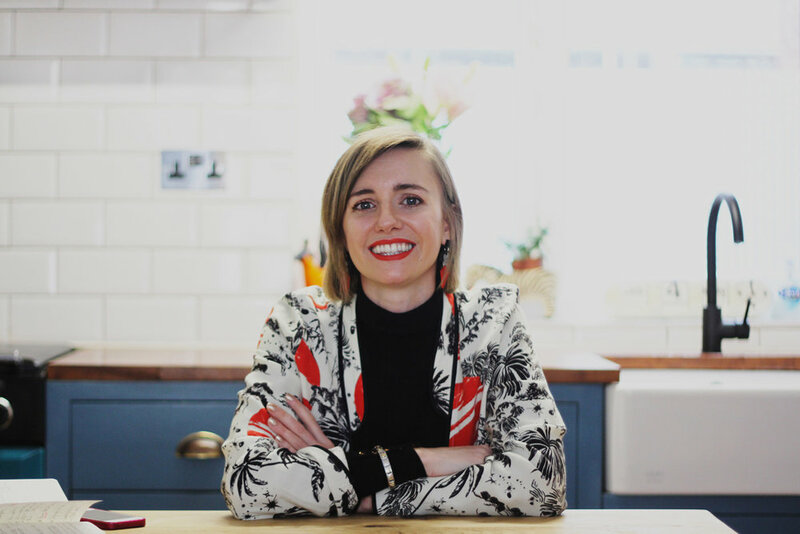 A Day In The Life Of Bethany Rowntree — LFA | Honest lifestyle, homeware & fashion PR. 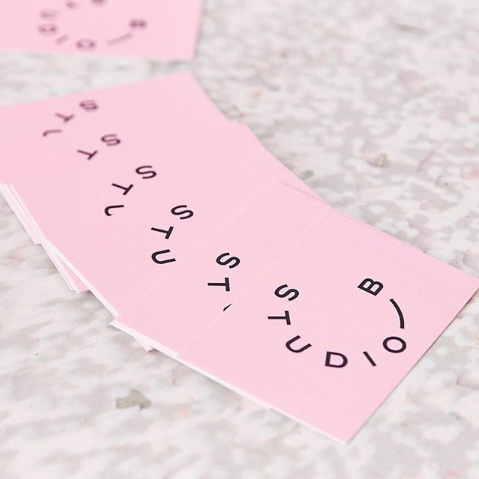 With a background in buying and a love for independent brands, it was only natural that Bethany Rowntree launched Studio B Fashion in 2017. The curated platform is all about buying less and buying better and some of the amazing brands include RIXO, Stine Goya and Vow London. We sat down with Bethany to talk about the ins and outs of running your own business, dogs and digestives. Well I would have previously said a cuppa tea, proper Yorkshire tea, but now I’d say my phone as sad as that sounds! First thing I do is check my emails and check Instagram and then I just get going and the tea and toast has to wait – if I’d still been in buying at an office where I was before I’d have probably had about 4 cups of tea, 2 breakfasts and lunch by the time I’ve had one these days! I also need to start the day with a quick snuggle with Mabel, my whippet, of course (she’s the cutest one in town, not biased and not dog obsessed at all). 2. Deadlines are fast approaching, which album gets you to the finish line? Oh tough question, I’d say Jess Glynne or Saint Records are often on at the moment but you can’t beat a bit of Beyonce to get you feeling motivated! Oh, I do love a good snack (haha). Nutella and peanut are must-haves for busy days, this is literally all I eat – healthy! Also, you can’t beat a chocolate digestive for a power snack. Maybe I should have said something healthy, but basically all I eat and drink is tea and chocolate. 4. What's the best thing about your job? Meeting new people, seeing exciting products, working collaboratively with new brands and helping small brands too. We work as a platform with almost all our independent brands, meaning we just take a small % on sales. 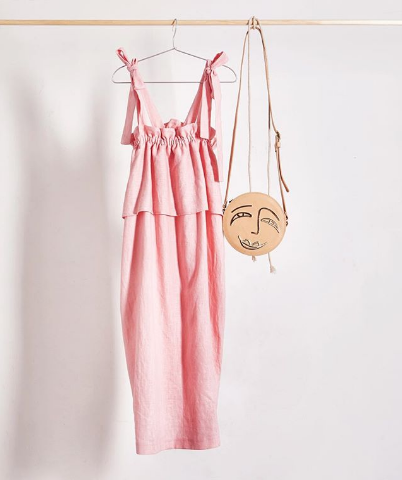 And of course the clothes, accessories and all the lovely thing we have on the site. I don't have everything myself (I wish) but I genuinely love everything on the site! I’d also say managing your own time is a plus to me, it often means I’m working from 7am – 10pm but some of it is out and about meeting new people, brands, stylists, discussing new opportunities etc. And it’s great to know I can go for a run or take Mabel for a walk at any point I need to help clear my head – which is especially good when it’s sunny! The pressure and the amount of workload. It never stops and you never stop thinking about your business, it’s so hard to switch off. And it is an immense amount of pressure on yourself because you work so hard at it and desperately want/need it to succeed. There’s just so much to do on your own and so many different elements to switch between, which I also really like, but would love someone to help me manage everything and improve on things. Mabel… ha not really, although I have trained her well and got her when I left my job to start Studio B properly (I would not advise getting a puppy and launch a business at the same time). I think just the fact I’ve done it, the fact I’ve started it all on my own and nine months in we’re growing, have repeat loyal customers and a product and brand selection that is developing and becoming more interesting. Sometimes I can’t believe I’ve finally got round to do it and it’s incredibly hard work but I’m really proud of just getting it off the ground… next it would be nice to actually be able to pay myself at some point (if I had an emoji it would be the crying laughing one). Oh god there’s loads, you always focus on the thing you want to be doing better or should be doing and not what you’ve achieved so far don’t you! I definitely want to grow Studio B by adding new exciting brands, and I’d love to plan a trip to Copenhagen to discover some more Danish brands (I have a few in mind); I love the ones we have online already, Baum und Pferdgarten, Stine Goya and Gestuz, they’re all such good quality. They produce well, and focus on colour, texture and print with a distinctive style rather than being trend led. I’d also like to grow by working on more exclusives for the site; we’ve recently done two exclusive collaborations with two brands I love – one is colorful/printed square earrings with Night Time Holiday and one is linen dresses with Johanna Sands with a Reformation/Paloma Wool style, but more unique and limited as Johanna handmakes them herself. I’d also love to try to collaborate with some other partners, doing similar things and host one big independent event together, I love doing pop-up events and hope to do more of these (one coming up this Saturday see here. I’d also love to achieve some more press. We’ve had some great pieces from lovely people that I’m so grateful for and now my goal is to be featured in the Sunday Times Style and Elle, I got to make it happen! A cup of tea and a digestive dipped in peanut butter… not really (but sounds good). Sam, my boyfriend (it’s been 13 years feel like I should call him my life partner or something! ), is just in the kitchen as we speak since I am still working! I think it’s some chicken thing from M&S with vegetables. I do also eat green things!